This week John, Justin and Bogman take a look at the 20 man ITL CFF listener league that was drafted on Tuesday night and Justin and John hand out bronze, silver and gold medals to the best drafters! We also have our 2018 award winners and CFB playoff contestants and as always the Fantastic Four segment! Bogman, John and Justin draft the On Campus Listener League live! This episode is unedited so there maybe some moments of silence and cursing when we get sniped but it’s all in there. Come check out the all the live reactions! We go over TE and D Rankings in this episode, John and Justin can’t not pronounce Albert Okwuegbunam, Bogman refuses to rank Defenses and we bring back the Negative Zone! We will be recording our On Campus listener league draft for the next episode so be sure to tune in for that! Bogman, John and Justin go over their top 24 WR rankings for the 2018 season and a few sleepers. They also discuss Urban Meyer and some UNC players making their way into the Negative Zone. Justin may or may not have an interesting conspiracy theory to bring up as well! In this weeks episode Bogman, John and Justin go over the running back rankings for 2018! There is a lot of depth this year so there is a lot of overlap in with the players and not too much to argue about. The Fantastic 4 segment shows up again with an evil twist this time! 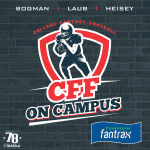 This week Bogman, John and Justin discuss their QB ranks and break down the top 12 at the position and potential Sleepers! We also debut a new segment built from John’s love of Comic Books so be sure to check it out! This week Bogman, John and Justin bring on the voice of TheCFFSite.com Joe DiSalvo to talk answer some burning CFF Questions! Remember if you would like to be in our listener league send a screenshot of your iTunes rate and review to [email protected]! 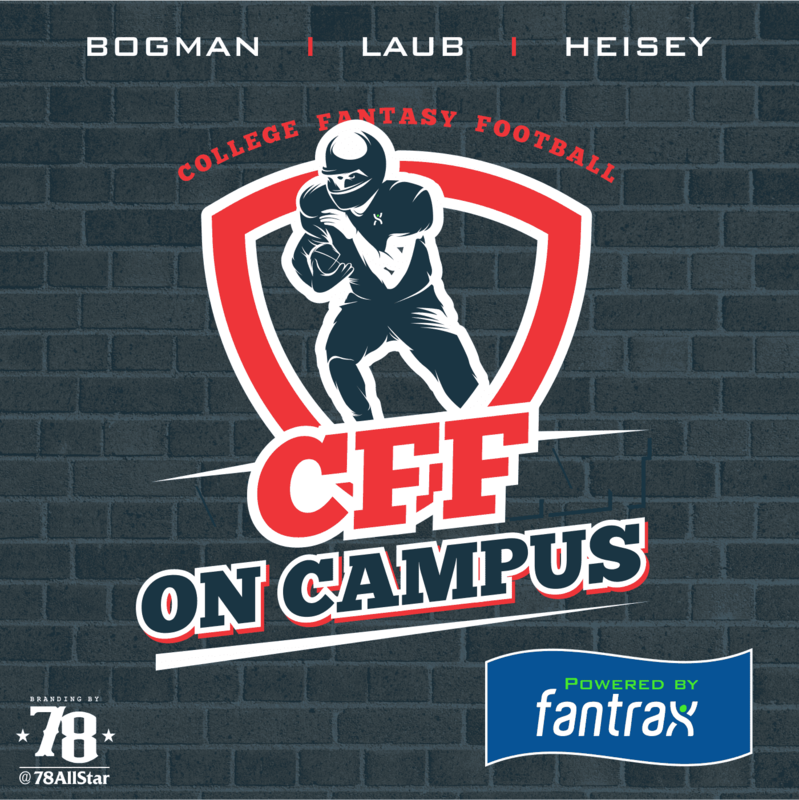 In Episode 7 of CFF On Campus Bogman, John and Justin answer some questions from the mailbag and review the most recent draft. Bogman and John try to humble Justin to no avail, and we all discuss the most interesting pick in the draft! Bogman, John and Justin are back to discuss the top 5 in Conference USA, the MAC and some of the players from the Independents. There is a ton of value from these schools for this season and we tell you who to be on the look out for!